Woo hoo! 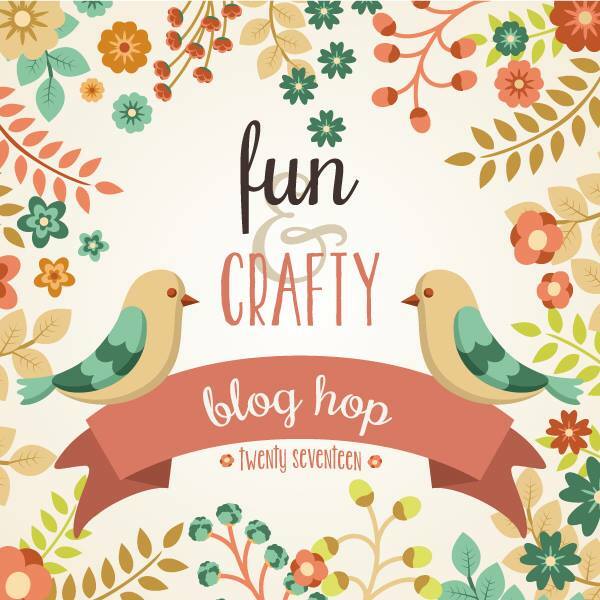 This week is hopping – blog hopping that is! 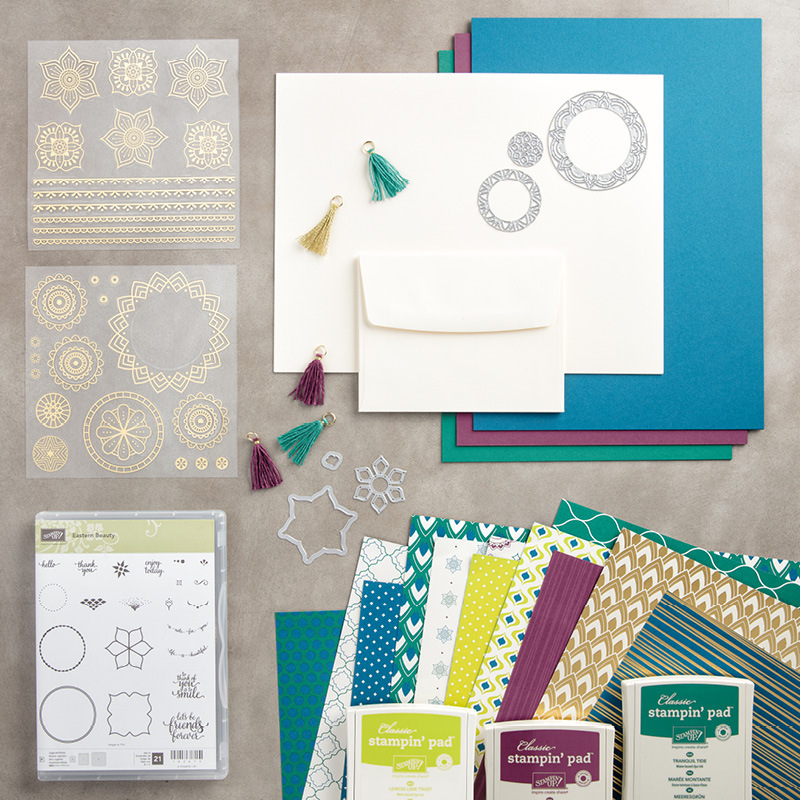 This time, its my Fun n’ Crafty Stampers team who are here to share with you some fresh ideas using the newest products – our preorder goodies! Now, I’ll admit, technically, I might be bending the rules a bit because the goodies I have to show you – you yourself can actually order them TODAY! Say, what?! 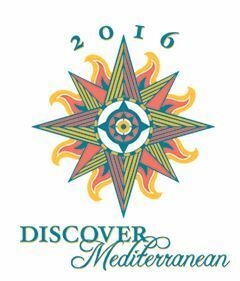 I’m featuring the Eastern Palace suite that is new in the upcoming 2017-2018 Stampin’ Up Annual Catalog. I’m not going to lie, this was a suite I wouldn’t have really thought twice about if I was just flipping through the catalog. 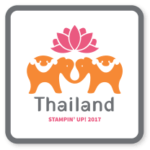 But Stampin’ Up was smart and they decided to offer it early as part of two Sneak Peek bundles (the starter bundle & the premier bundle). So, of course, I ordered it. 🙂 And turns out, I love it! My favorite piece in the suite is the Eastern Gold Vinyl Stickers. That is what makes the shiny gold flower and little circles in the background of my card. They are so EASY to do and because the stickers are clear and fairly close cut to the images, they blend in and look great! Sometimes the perfect Gold ink is Yellow! 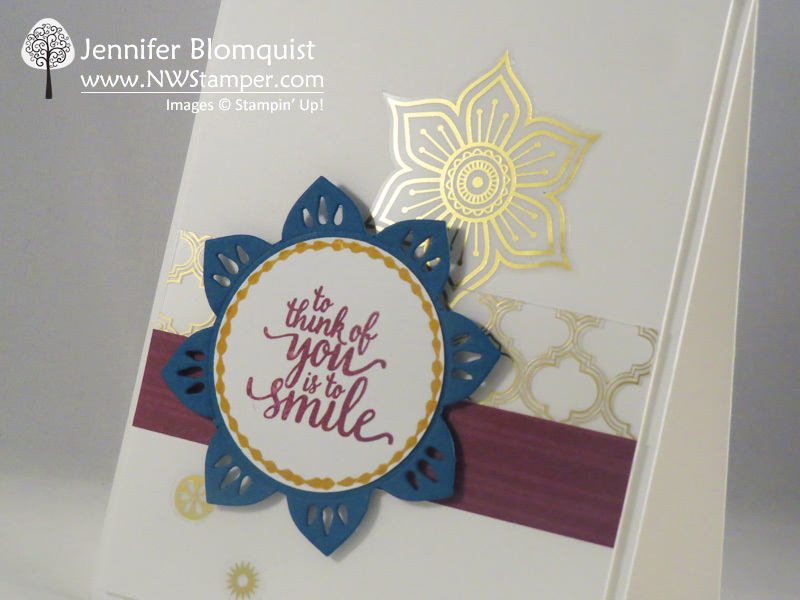 As I was creating this card, I wanted to have the stamped ring around my sentiment fit with the gold accents of the card since I didn’t really want to introduce another color to the mix. And right as I was lamenting the retirement of gold ink, I looked at my Color Caddy ink spinner and saw the Delightful Dijon ink pad! I realized that the dark yellow was a great hue to compliment gold. Too bad it is retiring on May 31st, or I’d be using it with this suite all year! Scissors is all you need to pop-out this diecut flower – I saw this flower on a card by Louise Sharp and it in fact inspired this card – but when I went to use my die to cut it out, I realized that the die actually just die cuts the petals so they curl up from the cardstock… it doesn’t cut the whole thing out of the paper! However, it is an easy 30 second fix to just grab your snips and snip the one spot in between each petal that keeps it connected to the cardstock. 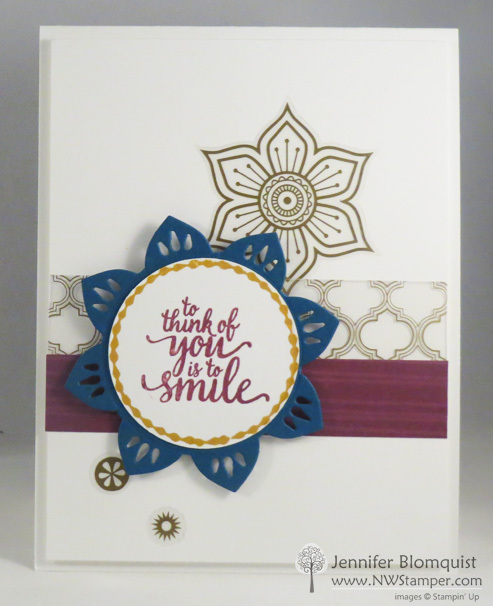 A few quick snips and you have a fun new die shape! So, what do you think of this card and this suite? I’d love to hear your thoughts… please leave me a comment below and let me know what YOU think of the Eastern Palace Suite! Hi Jennifer. I like how you have showcased a number of different stamps and accessories into your card design. Your color combinations make the card very dramatic. Great card, Jennifer! 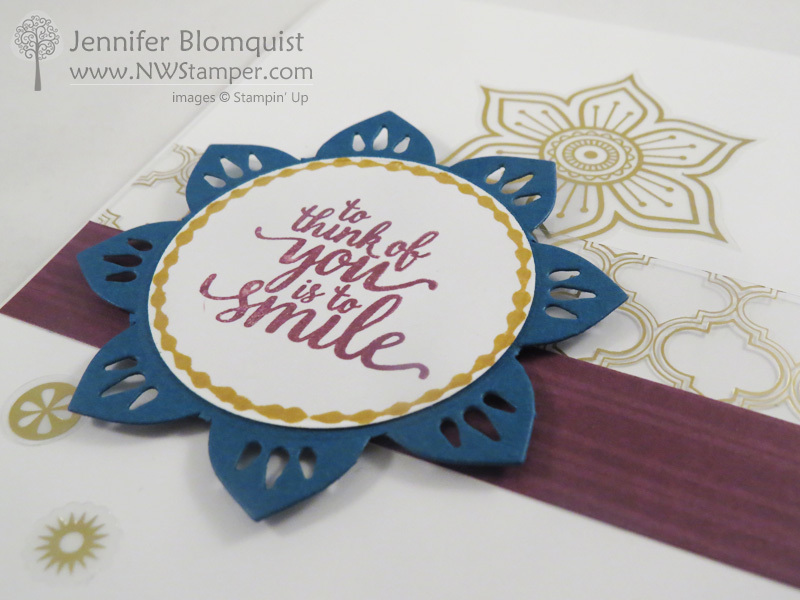 I love how you used the Fabulous Foil Acetate! Hmmm…this looks familiar! 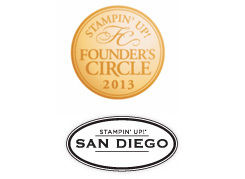 I loved it at stamp night and I love it today! So clean and simple and those stickers are amazing! Great Card! I love all the cards you design.